Some people have mentioned recently how I never give any recipes or, really, any technique behind what I make. Well, readers, you will sleep easy tonight when you see a shoddily crafted explanation of exactly how I made tonight's dinner! This dinner was inspired by a friend of mine who said she saw it in a recipe book. I didnt't actually get a recipe but from how she explained it this is how I assumed it should be put together. It started with cutting up some brie and leaving it at room temperature. Then I peeled, seeded, and rough chopped some tomatoes. 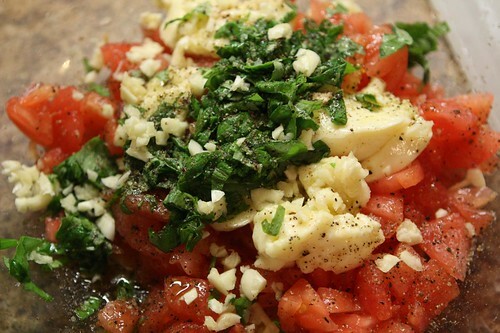 (Click here to learn how to concasse a tomato). 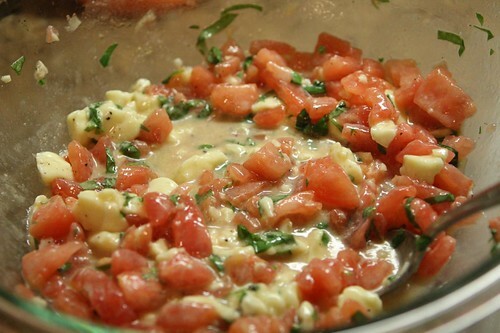 I threw those in with the brie, added some chopped basil, garlic, olive oil, salt, and pepper. I mixed this together and let it sit for an hour. Well, actually it was only about 20 minutes because we were a bit hungry. After twenty minutes I cooked some fresh linguine and then added it to the marinated tomatoes and cheese while it was hot. The heat melted the brie and I served it straight away. This was extremely easy to make and very tasty. 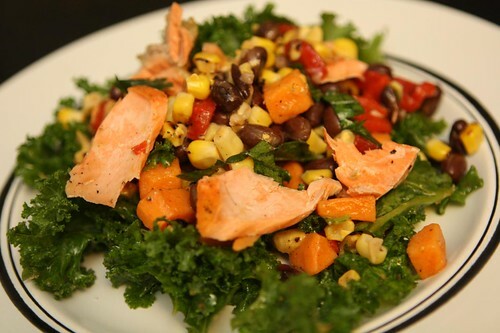 Before I made the pasta I threw together a salad with all of the leftovers we had in the fridge including kale, the corn and sweet potato salad, and some of the king salmon. See how I went out of order like that? This blog entry is exactly like Momento. Since it's the second day of Oktoberfest I cracked open one of many Oktoberfest beers that I am trying for the first time this year. 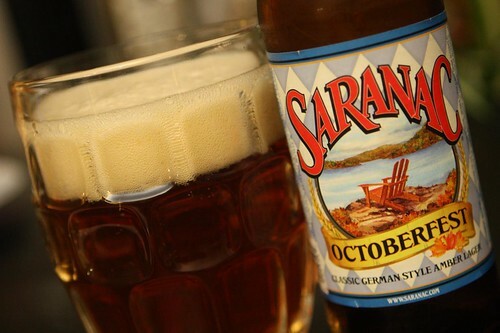 Tonight it was the offering from Saranac. For a lager it was pretty tasty. 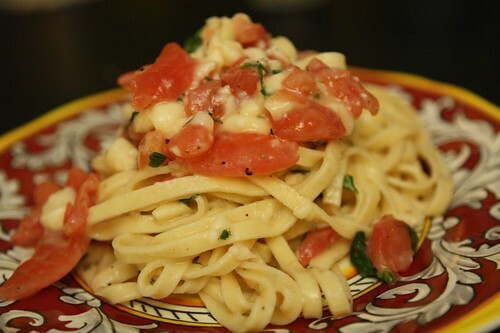 I'm not sure linguine with brie and tomatoes is the most traditional Oktoberfest food but readers of the blog should be familiar with my sloppily followed themes by now. 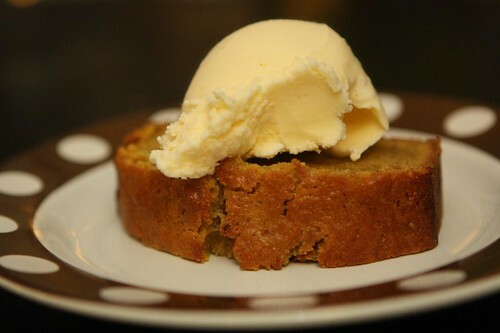 For dessert Jen made some pumpkin bread which we enjoyed with a scoop of vanilla ice cream on top. Ah, Oktoberfest. There's nothing better than observing the the traditions of a particular ethnic custom with the utmost authenticity.